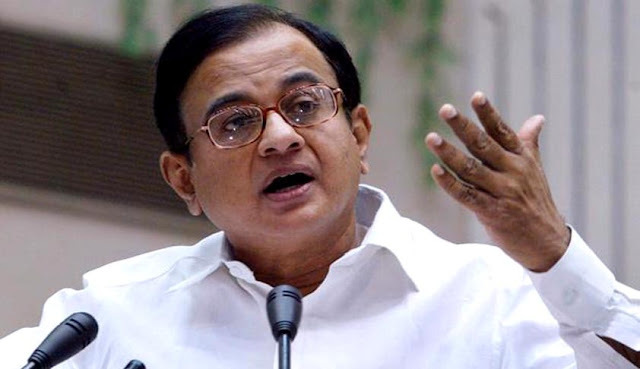 P. Chidambaram Big Statment: Rahul Gandhi Not Be Face Of Prime Minister Post In 2019 Elections: In his recent interview, P Chidambaram said that in the last two decades, the situation of the local parties has increased by breaking into the vote bank of national parties. Joint vote share of both the BJP and the Congress is also less than 50%. He said that at the Center, the BJP government is making strong attempts to see that the local parties do not get any help from the Congress. The situation will change and the Congress will form a strong coalition at the state level. Further, in his interview P Chidambaram has made a big declaration about the 2019 Lok Sabha elections. Speaking on the general elections, P. Chidambaram said that in the Lok Sabha elections 2019, Congress party will not declare Rahul Gandhi as the Prime Ministerial candidate. P Chidambaram said on his interview. He said that even Rahul will not make the announcement of the claim of any other person nor Congress. P Chidambaram said we want to see BJP outside and want to create a government at that place which is progressive, respect people's freedom, do not create tension in people with heavy taxes, women and children Give security and improve the situation of farmers. He said that we want coalition and after that, the name of the PM candidate will be decided together.